A lot of us still miss (and some are still using) Apple's delightful 12" PowerBook, which Apple has thus far chosen not to replace - although the 13" Unibody MacBook is a good substitute. However, some folks still think the larger footprint required to accommodate the 13" display makes the MacBook just a tad too big to qualify as a true 12" PowerBook replacement. Orange County, California-based TriGem USA, Inc. unlike Apple, has opted to serve the 12" portable market with its new 12" Averatec N2700 notebook, featuring a 2 GHz Intel Core 2 Duo processor, 250 GB hard drive, 4 GB of memory, and an 8x SuperDrive all for a modest MSRP of $699.99 (and currently on sale for $649.99). The N2700 is another example of the sort of netbook/notebook crossover machine I wrote about here last week and that many 12" PowerBook fans and others wish Apple would build. "The N2700 notebook is an ideal solution for consumers looking for the sweet spot in terms of price, portability and performance," commented Henry Hewitt, vice president of sales at TriGem USA. "It's larger and more powerful than a typical netbook computer and offers great portability over notebooks sporting 13-inch screens and larger." 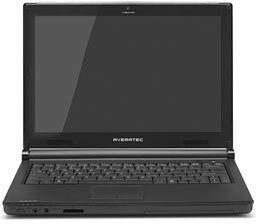 The four pound Averatec N2700 features a slim design form factor and 2 GHz Intel Core 2 Duo T6400 processing power, and borrowing another page from the Apple playbook has configured it to minimize preinstalled software bundles of demo programs and trial software (often called "bloatware") that often cumbers new Windows PCs. 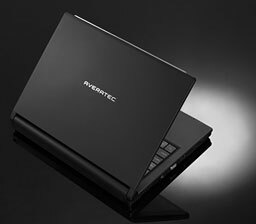 The new Averatec notebook is targeted to professionals, college students, and other mobile users who travel or need a fully capable computer that is comfortable for either the briefcase or backpack. 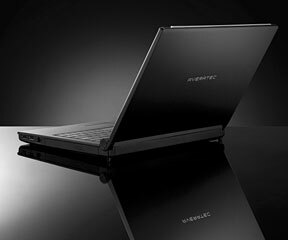 As a serious workhorse machine, the N2700 comes with 4 GB RAM and the 64-bit edition of Windows Vista Home Premium, a higher-performing version of the Microsoft operating system. It features built-in 802.11g wireless connectivity along with gigabit ethernet. In addition to its three USB 2.0 ports, the N2700 includes a FireWire port for connecting to camcorders, external hard drives, and other high-speed FireWire devices. Hmmm - trim 12" display size, Core 2 Duo power, lots of USB ports, and a FireWire port too. Aside from its inability to run authorized OS X installs, the Averatec N2700 is pretty much the machine 12" PowerBook aficionados would order up. "We listened to our customers when we designed this new 12" notebook," Hewitt said. "They wanted solid performance at a great value without excess in the way of 'try-and-buy' software add-ons. So we have delivered a 'back-to-the-basics' notebook with a very robust Intel dual-core processor, plenty of memory, and a sizable hard drive for storing documents, photos, video, and music." Too bad Apple seems to turn a deaf ear to what many of its customers want in a subcompact laptop. Averatec's products are backed by a one-year limited warranty.